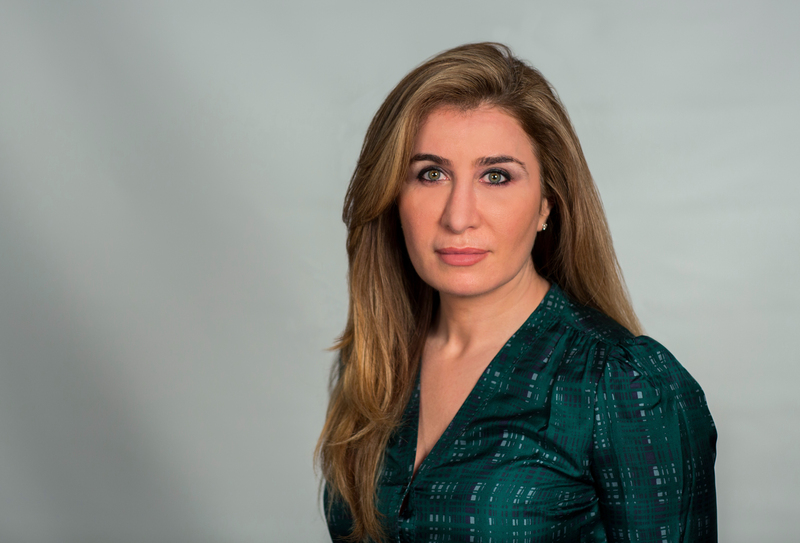 Bessma Momani is a senior fellow, joining CIGI in 2004. She has a Ph.D. in political science with a focus on international political economy, and is professor at the Balsillie School of International Affairs and the University of Waterloo. She is a 2015 fellow of the Pierre Elliott Trudeau Foundation, nonresident senior fellow at the Brookings Doha Center and a Fulbright Scholar. She has been a nonresident senior fellow at the Brookings Institution in Washington, DC, and a visiting scholar at Georgetown University’s Mortara Center. Bessma has received a number of awards and prizes for her research and work. In 2015, she was awarded a Trudeau Fellowship and will be researching Arab-Canadian youth and communities. She is a Fulbright Scholar and is undertaking an Insight Development Grant funded by Canada’s Social Sciences and Humanities Research Council (SSHRC) on change in urban development in the Middle East caused by an influx of Arab Gulf investments. Bessma was also the recipient of a previous SSHRC grant on the reform of the International Monetary Fund’s (IMF’s) Executive Board. She is the recipient of numerous awards for her writing, including the University of Waterloo’s Lois Claxton Humanities and Social Sciences Endowment Fund Award to support the publication of her co-edited volume studying Arab-Canadians. In recent years, Bessma has spearheaded The Pluralism Project with Trudeau Mentor Jillian Stirk, exploring the link between diversity and economic prosperity and the role of globally connected citizens. Bessma has authored and co-edited numerous books, including: Egypt beyond Tahrir Square; Arab Dawn: Arab Youth and the Demographic Dividend They Will Bring; Targeted Transnationals: The State, the Media, and Arab Canadians; Shifting Geo-Economic Power of the Gulf: Oil, Finance and Institutions; From Desolation to Reconstruction: Iraq’s Troubled Journey; Canada and the Middle East: In Theory and Practice; IMF-Egyptian Debt Negotiations; and Twentieth-Century World History: A Canadian Perspective. She is also the author of more than 70 scholarly journal articles and book chapters that have examined the IMF, the World Bank, the Financial Stability Board, petrodollars, regional trade agreements in the Middle East, and economic liberalization throughout the Arab Gulf and the Middle East. The journals that Bessma has published in include: Review of International Political Economy; Asian Affairs; Global Society; Journal of International Relations and Development; New Political Economy; International Journal; Canadian Journal of Political Science; Review of International Organizations; Middle East Review of International Affairs; World Economy; New Political Economy; Journal of the Gulf and Arabian Peninsula Studies; Journal of European Integration; and World Economics. As a political analyst on the Middle East, the Arab Spring and the global economy, she has written editorials in The Globe and Mail, The National Post, Embassy Magazine, The Ottawa Citizen, and the Toronto Star. She is also a regular media contributor, having done over 400 live interviews, with CBC Radio, CBC News, CBC’s The National, CTV Newsnet, Al Jazeera, BBC World Service and Business News Network. What's Wrong with the IMF? Whose authority? Exporting Canadian urban planning expertise to Jordan and Abu Dhabi. (Re)branding Amman: A 'lived' city's values, image and identity. Between Caution and Controversy: Lessons from the Gulf Arab States as (Re)Emerging Donors. Japan's Rescue of the IMF. Qatar and Expanded Contours of Small State Diplomacy.